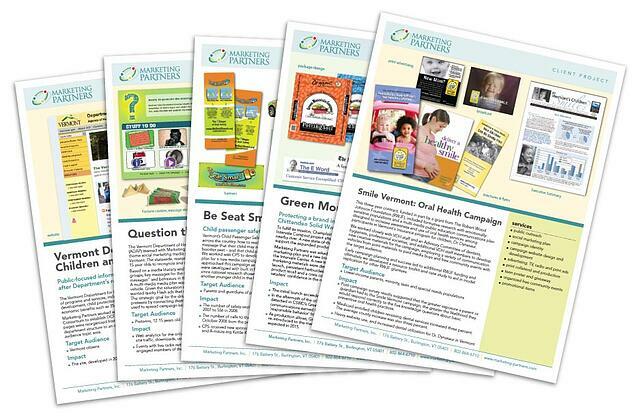 Government public outreach has long been a mainstay of the work we do at Marketing Partners. We add a deep understanding of the special mission, needs and constraints of your work in this sector to the state-of-the-art marketing communications tactics and techniques in our toolbox so you know your constituents will be well served. We are honored to have served numerous national, regional, state, and local organizations, including 18 state of Vermont agencies and departments over the past two decades. Marketing Partners is a pre-qualified marketing firm with the State of Vermont Chief Marketing Office, and a pre-qualified website planner and designer with the Vermont Department of Information and Innovation.